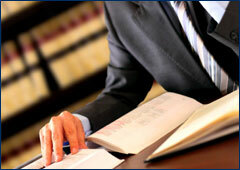 Banker Lopez Gassler P.A. 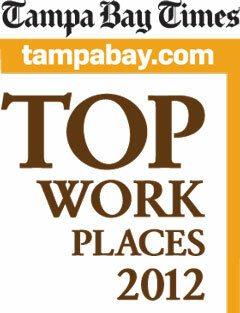 was recently named one of Tampa Bay’s Top Work Places 2012 by the Tampa Bay Times. Employees nominated their employers and were surveyed about several topics, including practices and policies that make these companies the top places to work. This is the third year in a row that BLG has received this honor! We are pleased to announce that for 2012 we ranked third in the Midsize category. In the Tampa Bay region, 75 leading employers were nominated by their employees. To be considered for participation, companies or government entities had to employ at least 50 workers in Florida and be at least a year old. The Top Work Places 2012 in Tampa Bay program was created by the Tampa Bay Times and WorkplaceDynamics. The companies were ranked based on leadership, compensation and training, workplace flexibility, and diversity. The rankings were published on TampaBay.com, in the April 29 edition of the Tampa Bay Times and on April 30 in tbt*. For a complete list of the 2012 Top Work Places in Tampa Bay, go to www.tampabay.com/topworkplaces2012.